Not sure if this is the correct forum, but can anyone confirm that 1966 and 1967 Cutlass sedan/post car doors (2-door) are interchangeable? ***Also, did every automatic Cutlass come standard with a center console (bucket seats)? 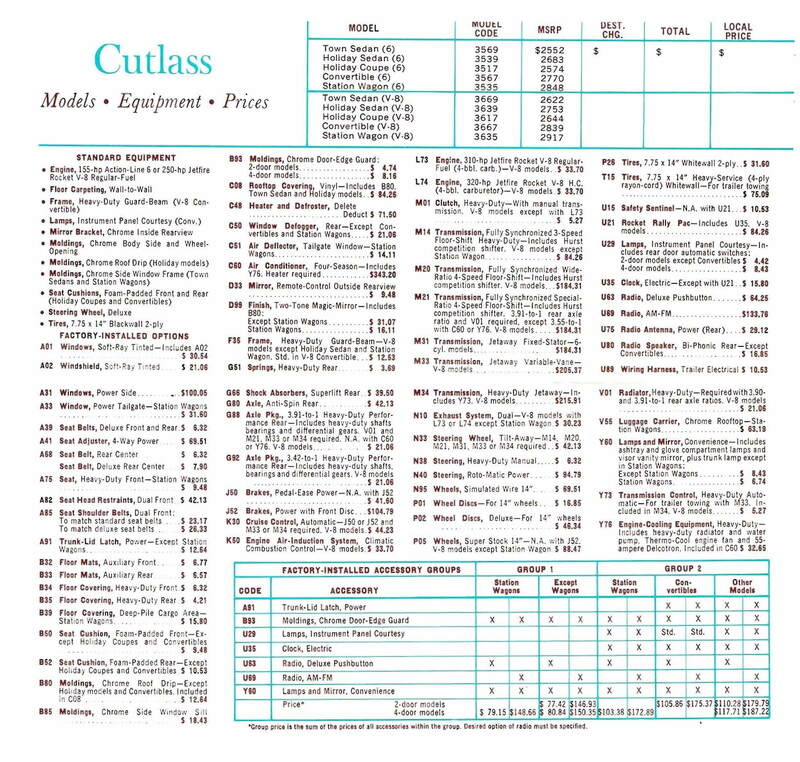 can anyone confirm that 1966 and 1967 Cutlass sedan/post car doors (2-door) are interchangeable? Yes we can and yes they are. 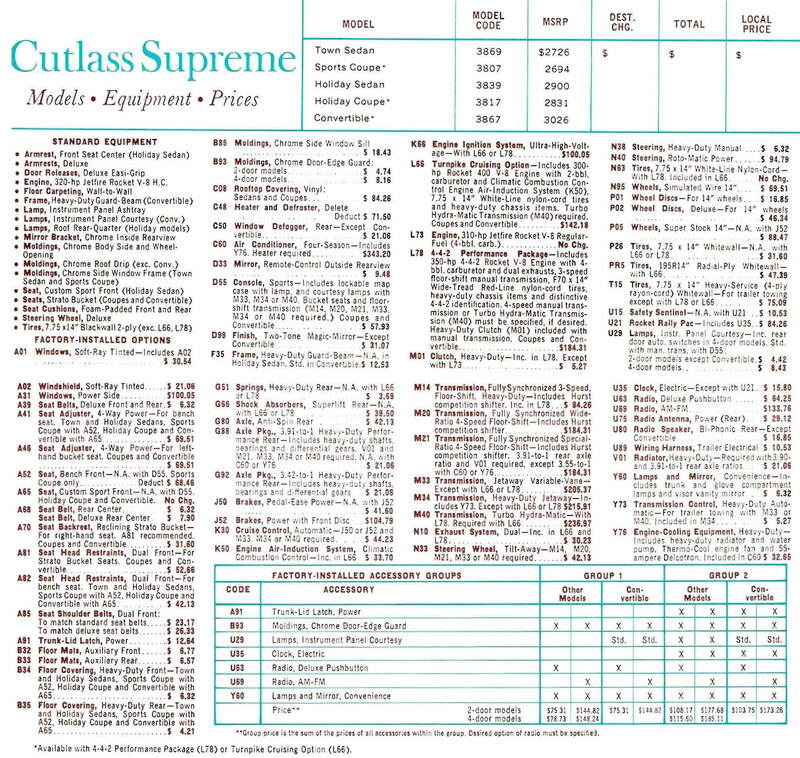 Edit: Well, after looking at the SPECS booklet for 1967, apparently bucket seats were not even available on the Cutlass line, only the Cutlass Supreme line. Apparently this is why the L78 442 option was only available on the Cutlass Supreme in 1967. Nope. Bucket seats did not include the floor shifter and console. The base trans was the three-on-the-tree manual, and both three and four speed manual floor shift transmissions as well as the automatic were optional. The automatic trans option came with a column shifter, even with buckets. You had to also step up to RPO D55 to get the console and floor shifter with the AT, or the console around the floor shifter with the MT. Thanks much Joe. That's a lot more info than I was expecting. Greatly appreciated!